Today my blog post is on triple rich chocolate heaven. It is shaped like a cookie but tastes more like a mix of chocolate cookies, cupcakes, and brownies. Normally I don’t like chocolate, but this is different. A smaller cookie enlarged on the package, it is mixed in with dark chocolate chunks and chocolate chips. It does not come ready made but it takes about twenty minutes to bake altogether if you follow the instructions on the back. The company’s name is Immaculate and their tagline is “honestly delicious” and I’ve never tried any of their products except this one, but if all their products are as good as this one, I want to jump right into the package. 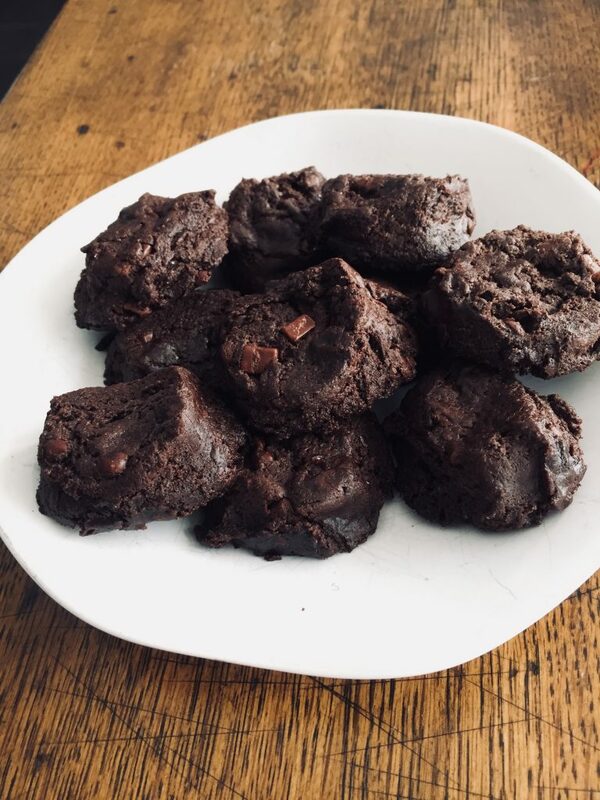 Their double chocolate cookies are ready to bake and are certified gluten free and dairy free, not to mention no artificial flavors or preservatives. The package bakes twelve cookies, but they aren’t that big so two or three straight from a warm oven will suffice for a nice dessert on a cold winter day. My brother also loved these, maybe even more than I did, which is incredible. 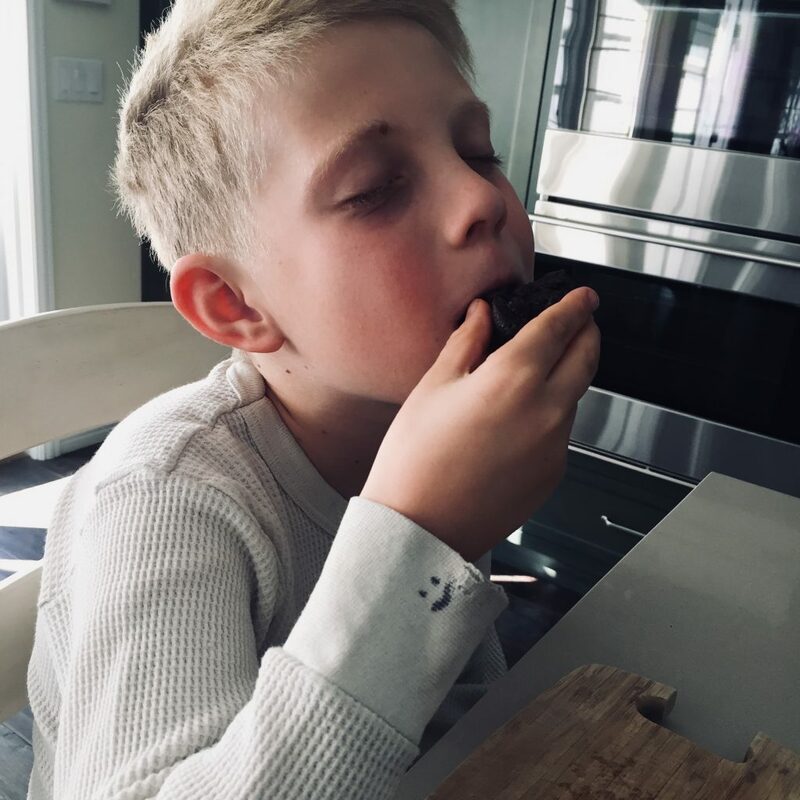 He was sniffing the package with the cookie dough inside long after there was zilch on his plate. 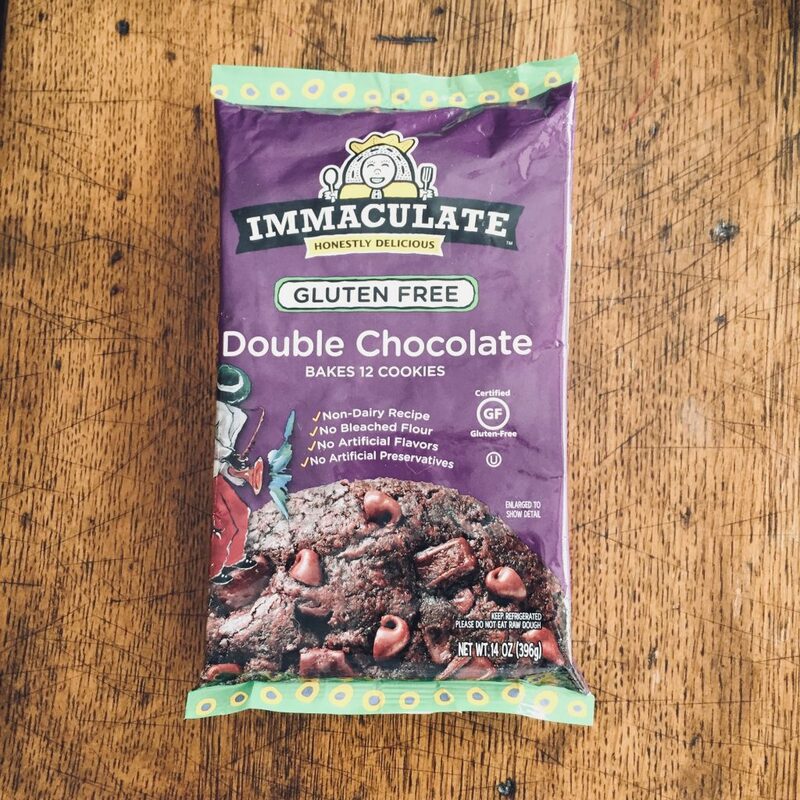 I learned that Immaculate got started about 20 years ago with the dream to bake great-tasting treats and inspire the natural artist in all of us. Immaculate only ever uses good ingredients and the brand has grown beyond their wildest dreams. I liked their story about how they started and how they grew. Most important of course is the taste so pay attention to this. 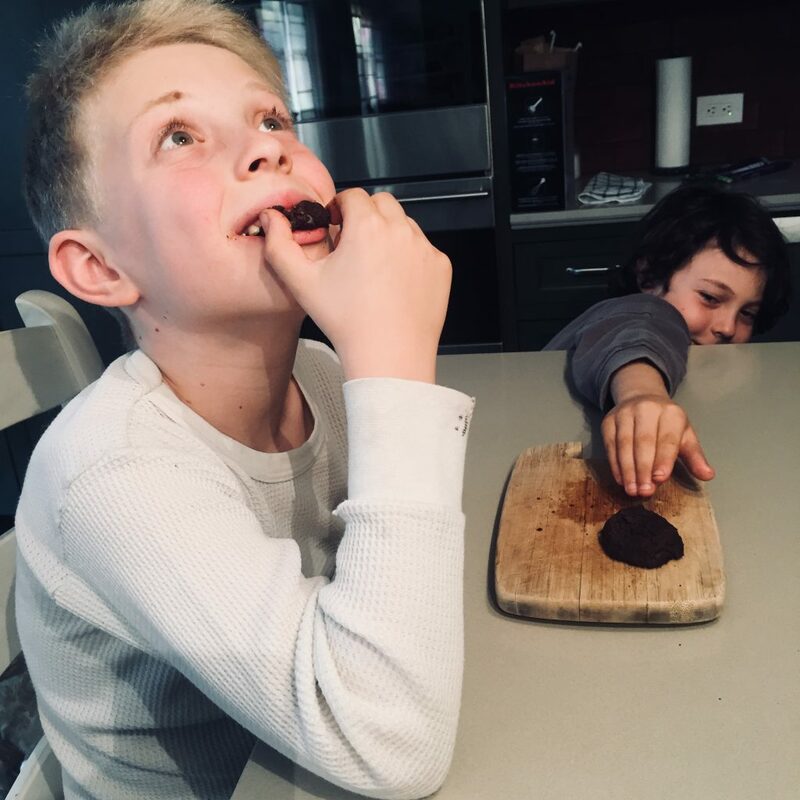 The taste goes like this: chocolate chocolate chocolate chocolate chocolate yum yum yum yum amazing amazing amazing amazing amazing. 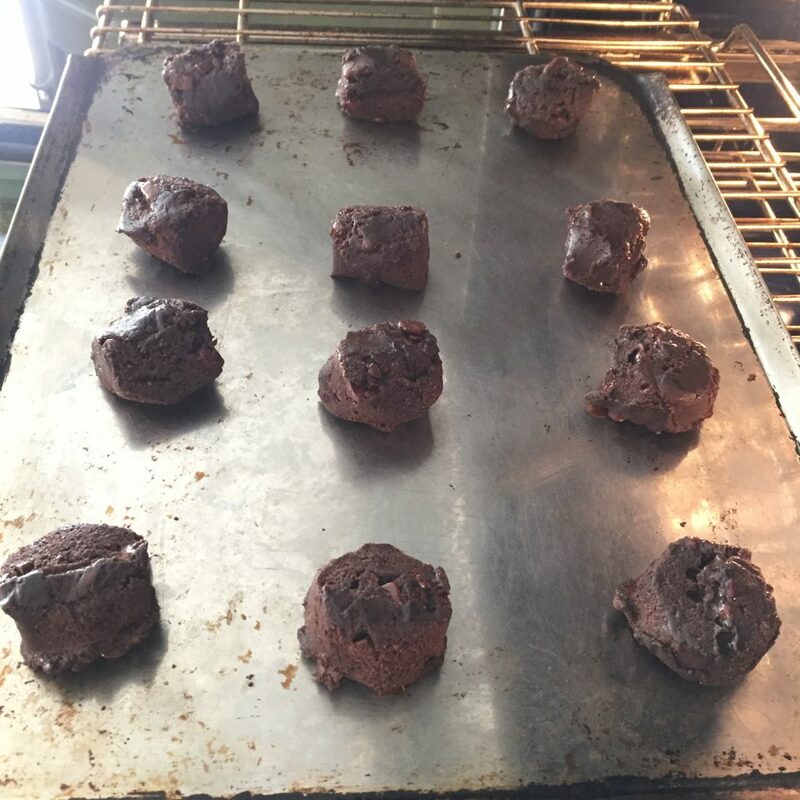 The chocolate is rich, the chunks are warm and gooey and the cookie is soft. You cant miss this in your life. If you like chocolate, your life won’t be complete until you chomp down on one of these amazing cookies!